I started working with Japan Studio’s ASOBI! Team last December, splitting my time between ASTRO BOT and my other project du jour, doing the sound for Foam Sword Games’ charming Knights and Bikes. 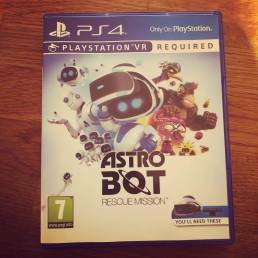 So, this year has been pretty full on, but ASTRO BOT ‘s reception as one of the most critically acclaimed VR games to date makes that crazy-busy period well worthwhile. Congratulations and cheers to the ASOBI! Team for the well-deserved success, and to everyone at Japan Studio and Sony Interactive Entertainment for their help in making this happen!